After that, managing and renewing your certificates is a snap. 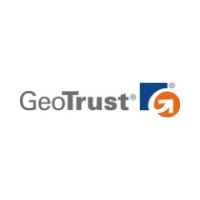 With GeoTrust, you get inexpensive SSL without sacrificing convenience, choice, or reliability. Issued in minutes. Get website encryption fast. Latest encryption at a great value price. If you are interested in purchasing this certificate, then Servertastic recommends Sectigo DV SSL as an alternative. This certificate can be issued in minutes using Domain Validation. You just need to prove you have control over the domain using either Email, File or DNS authentication. We provide a specific list of email addresses that can be selected to receive a one off use link that you click to confirm control of the domain. We provide a unique string that you place in a file and upload to your website. This is then validated to confirm control of the domain. We provide a unique string that you place in a TXT entry on your domains DNS. This is then validated to confirm control of the domain. All certificates available from Servertastic have a browser compatibility rating of 99% including modern mobile devices from within the last 8 years. This certificate can be installed on unlimited servers without any additional cost. Simply copy your certificate files to each server as required. Generate your CSR with www and we will include the non-www domain at no extra charge. In the event of a miss-issuance or a flaw in the SSL/TLS certificate that results in breach. Costs incurred by you or your customers are covered by the warranty. Any problems with your certificate you can perform a reissue. This certificate includes a trust seal which can be installed on your website increasing visitor trust.